Ever since I have been shooting with medium format film cameras I have started to create a rather big list of film photographers that inspire me. 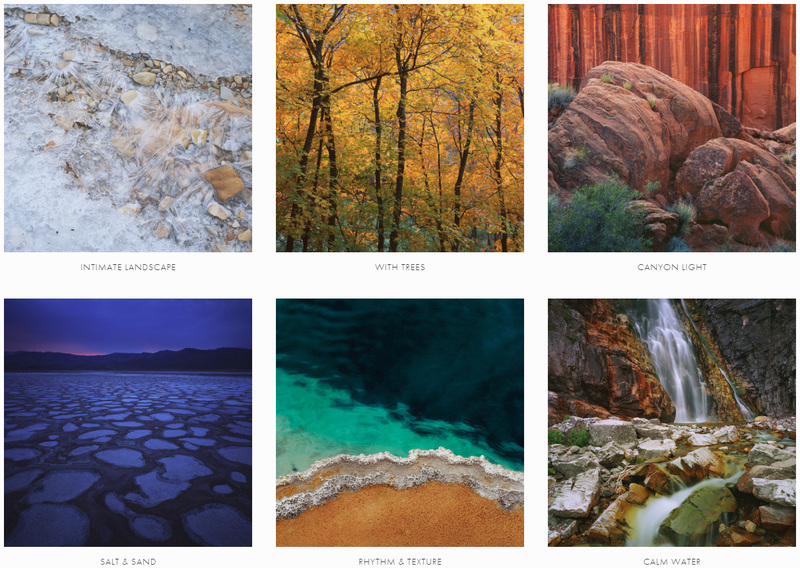 One of the best (at least I think so) large format film photographers out there today is the awesome Ben Horne Ben mainly shoots nature and landscape photography in either Utah’s Zion National Park or California’s Death Valley National Park. Ben shoots primarily on 8×10 large format cameras with the Ebony 8×10 RW810 and the Richard T Ritter 8×10 being his favorites. These are big cameras to go hiking with. Ben uses a variety of large format lenses including the: Nikkor 150mm SW, Fujinon 300 C and the Fujinon 600 C Lens. His favorite large format film is Fujifilm Fujichrome Velvia 50 Positive film which produces exceptionally high color saturation and has super-fine grain structure. I love how Ben takes meticulous time and effort to get that one shot, some times hiking miles the day before just to scout out that shot. If Ben Horne has taught me one thing it’s to slow down and make the utmost effort to get the best shot possible. He’s taught me that film photography is all about the light, he usually shoots very early in the morning at sun rise or around sunset using that beautiful golden hour light. Ben Horne uses the Sekonic L-558 Exposure Meter to help get the best exposure settings for his large format photography. Ben Horne has a few large format nature photography books in print of which I have purchased one and will review here on my site. He also sells his large format wilderness photography prints on his website and I’m sure one day I will be purchasing one. Ben Horne is also a spokes person for the excellent Intrepid 4×5 film Camera. These great 4×5 view cameras are made from Birch Plywood and with anodised aluminium metal parts. The 4×5 view camera is weather sealed with nylon bellows and comes with a 2mm bright focusing screen. The 4×5 film camera only weighs 900 grams which makes it excellent for hiking and outdoor photography.